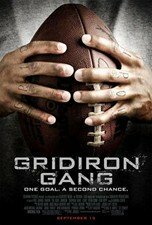 Based on a true story, this inspirational drama stars Dwayne "The Rock" Johnson as a probation officer at a California juvenile detention camp. Deciding that he can help give the inmates guidance and self-esteem through sports, he forms an upstart football team. Now, with help from fellow counselor Xzibit, Johnson attempts to lead his troubled players to victory--both on and off the field. With L. Scott Caldwell, Leon Rippy, Kevin Dunn, and Jade Yorker. 125 min. Standard; Soundtracks: English Dolby Digital 5.1, Dolby Digital Surround stereo, French Dolby Digital 5.1, Dolby Digital Surround stereo; Subtitles: English, French.